Recently, my friend and ex-baseball teammate from high school shockingly decided to transfer out of Oberlin College, a liberal arts school in Ohio. While he seemed perfectly content during his freshmen year at Oberlin, succeeding academically, as well as athletically as both a goalie for the soccer team and catcher for the baseball team, he felt that the Oberlin student body socially shunned student-athletes on campus. Although unfortunate, this shunning atmosphere is contrary to the diverse community that similar institutions, like Swarthmore, attempt to foster. This phenomenon has manifested itself far too commonly, particularly in liberal arts colleges in America. 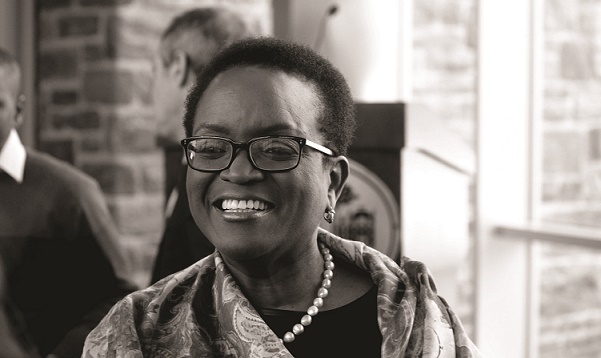 This division within the student bodies of liberal arts colleges is dangerous, and Swarthmore President Valerie Smith has decided to take a stand. Recently, President Smith was seen on the sidelines of a Women’s Soccer game as an honorary coach. In her tenure thus far, the athletics program at Swarthmore is growing in its successes. The act stood as a sign of unity and respect, as the esteemed President felt compelled to show her support and appreciation for the athletics department. Whether cheering for the Garnet in the baseball stands or along the track, Smith certainly has had an impact on the way athletics are viewed here at Swarthmore. Her actions have not gone unnoticed. This past year, the Women’s Volleyball team held a Faculty and Staff Appreciation Game, creating invaluable connections between the administration, athletes, and the student body. This appreciation for athletics has followed Smith throughout her career, even as far back as commandeering a movement for equality for women in athletics during her undergraduate studies at Bates College, another prolific liberal arts school. In an interview with local news station NBC10, Smith went as far to say, “I’m happiest when I’m able to get a lot of exercise…” Smith also discussed in that same interview the need to address and include the voices of all students, especially in an era of such social change and awareness. In her example, we all should strive to appreciate the culture, community, pride, and competition that athletics contributes to our community. I went to a small, all-male private school in the heart of Washington, DC, that mandated all students participate on some sports team for almost every season of their high school career. This requirement certainly benefited the school, teaching students the importance of physical education and health; however, it also meant that sports played a major role in the social weave of the school community. This created a lack of people with unique and diverse interests outside of sports. Those who did were labelled as effeminate or inept. Arriving at Swarthmore, I have already been struck by the sincere diversity of interests and talents that we, as a student body, possess. However, it is imperative that we not ostracize the athletes, thereby cultivating a student body of only one type of student. Here at Swarthmore, we pride ourselves on opening the macroscopic dialogue to people of all backgrounds, experiences, beliefs, and cultures. It is this strong interwoven sense of community that allows us to succeed both individually and as a whole. In this day and age where stereotypes prevail, we cannot regard all athletes as sports-first-school-second, insensitive jocks. It becomes all the more imperative that college communities support the endeavors undertaken by our colleagues and classmates. Particularly, when certain athletes at other schools have been the focus of so much controversy in the media for their involvement in misogynistic behavior and breaches of integrity, it is important that we recognize that athletes are members of the Swarthmore community as well, accomplished, intelligent, and important in their own right.